A CIRM slide from last week on the Cellular Dynamic stem cell bank project. It came when the Japanese firm announced it was buying Cellular Dynamics International (CDI) for $307 million. That doubled the price of the company stock overnight, probably leading to moments of ecstatic celebration in some circles. The stock closed at $16.43 today, well above its 52-week low of $4.72. Cellular Dynamics is a Wisconsin firm that has a $16 million grant from CIRM, as the stem cell agency is known, to create what could be the world’s largest bank of induced pluripotent stem cells (iPSCs). 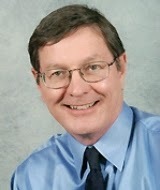 The firm was founded by noted University of Wisconsin researcher Jamie Thomson. The bank is located at the Buck Institute in Novato, north of San Francisco. The 155-employee CDI is also the prime subcontractor on a related $10 million award to the Coriell Institute. It is not entirely clear what, if anything, the Fujifilm purchase means for the CIRM contract with CDI. Sometimes new owners have different views of previous business arrangements and seek modifications. The Fujifilm press release said CDI work will continue in California and Wisconsin. But the release also said Fujifilm will “seek synergies and efficiencies,” which can be industry-speak for cutbacks and layoffs. The California Stem Cell Report yesterday queried the agency about its thoughts but no response has been forthcoming. “CIRM settled on a goal of 9,000 lines derived from 3,000 individuals. Yaffe said he anticipates that the first of these will be available for distribution by the end of the year or early 2015. What’s still unsettled, however, is the cost. It’s a tricky calculation, given that the utilization of the lines is unknown. In December 2013, CIRM’s staff recommended a $2 million addition to the stem cell banking program. The CIRM governing board rejected the proposal after one board member called the plan dodgy. Jeff Sheehy, who serves on the grant review committee, said it needed to be peer reviewed and competitive. The Fujifilm purchase attracted considerable news coverage but little mention of the CIRM connection. Here are links to some samples: Madison.com, ipscell.com, xconomy. Here is a link to CDI’s one-year progress report with CIRM. On New Year’s Eve, the California stem cell agency and its relatively new president, Randy Mills, kicked off a radical and fresh way to hand out money to researchers and speed development of therapies. Today, nearly three months later, the agency is still wrestling with some key issues, including virtual termination of its old, $500 million loan program. Nonetheless, at a meeting last week in Berkeley, the governing board of the agency did put behind it many aspects of implementation of what it calls CIRM 2.0, a term drawn from its official name, the California Institute for Regenerative Medicine(CIRM). Approved were new rules involving administration of grants and beefed up oversight of the research -- with the agency as an ever more engaged partner with researchers, some of whom may not care for more suggestions from the back seat. 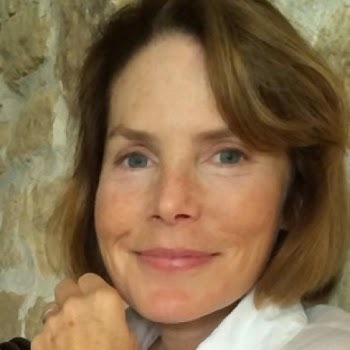 The goal says Mills, who has been in place only since last May, is to send checks to researcher 120 days after they submit an application instead of the previous average of 22 months. New clinical stage projects are now being accepted every month instead of only once or twice a year. Most of the CIRM 2.0 matters are much too granular to impress the public, which really only cares about production of useful therapies. But if Mills is successful, it will likely mean speedier development of the treatments that were promised 10 years ago ago when voters created the stem cell agency. Researchers and stem cell firms, as opposed to the general public, need to pay close attention, however, to the details, which can mean millions of dollars for them. Another stem cell filip is coming up this spring: the agency's strategic plan, which appears ready to be revised as a CIRM 2.0 document. Mills avows his continued support for basic research, strongly favored by board members from academia and research institutions. But heavy pressure exists to bring a product to market quickly or much closer to market. Without such a demonstration, the agency will find it tough to secure additional funding after 2020, the latest estimate when its cash will run out. Still hanging out there are the details of what will be left of the agency’s once ambitious, seven-year-old loan program, which was a favorite of the agency’s first chairman, Robert Klein. Only five loans were made. Only two are still active. In a memo to the board, Mills said the program was “overly complex, administratively burdensome, and, as reflected in the number of loans issued, it does not appear to be attractive to industry.” He told the board last week that small companies balk at the loans because they do not want the debt on their balance sheets. Grants, however, carry royalty requirements that companies also dislike. "If we can't make it better, maybe it shouldn't exist." The board’s intellectual property committee was scheduled to act on a new loan policy in January but that meeting was cancelled with no public explanation. Again this month, a meeting was scheduled but postponed with no immediate explanation. The link to the proposed policy was removed from the CIRM Web site, although the document can be found here. Last week's action directly involved only the first stage of CIRM 2.0, but Mills plans to extend the process to the entire portfolio, making adjustments as necessary. The rules are officially interim. The state’s official regulation adoption process is much lengthier and will provide more opportunity for the public to comment. Mills has told the board that implementation of his changes will not necessarily be smooth. He also said the effort is likely to be modified as CIRM 2.0 progresses. Mills has now scheduled the first, closed-door review session for a CIRM 2.0 application, one of two received in January. The 90-minute telephonic meeting is set for tomorrow. The second application from January was sent back to the applicant for re-working. The agency received two CIRM 2.0 applications in February. One was sent back to the applicant. The other is expected to be reviewed and scored April 27. More CIRM 2.0 applications are expected at the end of this month, next Tuesday. The public can address tomorrow's meeting from CIRM's headquarters in San Francisco during the public portion of the session. As usual, however, the name of the researcher and the target of the research are being withheld from the public. See here, here and here for the text of key documents on CIRM 2.0 approved at last week's meeting. The directors of the California stem cell agency have adjourned their meeting in Berkeley. We do not expect additional stories today but will have more tomorrow including an update on the agency's search for a new home and an overview of the progress on CIRM 2.0. We call your attention to the item below that involves a flap over the agency's grant review process, which its president calls "sub-optimal." The California stem cell agency today approved $25.2 million for preclinical research aimed at speeding development of therapies for afflictions that include arthritis, Alzheimer's and “bubble boy” syndrome. The action came during an agency governing board session that was marked by sharp criticism from an executive with a La Jolla firm associated with one of the rejected grant applicants, Jill Helms of Stanford. The executive, Sanford Madigan of Ankasa Regenerative Therapeutics, told the board he was "disturbed by board members not willing to do their jobs." Several board members said they were offended by Madigan's remarks, although he later apologized. He appeared to be irritated by the reluctance of the board to override its reviewers. Five board members subsequently abstained from voting to overturn staff and reviewer rejection of Helms' application. The motion that would have funded her proposal failed on a vote of 5-1-5. The public flare-up involving the board and a member of the public was unusual, although comments such as Madigan's are sometimes heard in private. His remarks came at the end of a discussion about the weaknesses of the agency's closed-door review process. The discussion involved other applications in addition to Helms' proposal. Randy Mills, president of the agency, acknowledged the review process was "sub-optimal" and was being replaced by new procedures he has dubbed CIRM 2.0. Ankasa was created by Avalon Ventures, which is raising $16 million to help commercialize Helm's work to develop a stem cell therapy to improve skeletal healing of elderly people. The governing board of the agency handed out awards to seven scientists with the goal of moving their research closer to federal approval for a start of a clinical trial. The board approved applications from two researchers who made special appeals to the board after reviewers and staff nixed their proposals. Prior to the vote on her application, Helms was told that she could revise her $7 million application and submit it for later consideration. She said the soonest that would occur would be in about 10 months, given the agency's timetable. By that time, she said the research team would be disbanded through lack of funding and the effort would "disintegrate." CIRM has already put $7 million into Helms' research. She has been something of a bright star for the agency, which has featured her on its Web site and asked her to appear on its panels. The rejection of the Helms proposal highlighted some of the vagaries of the agency's longstanding review process. She received an average scientific score of 72 which knocked her out of the funding category(tier one). However, her median score was 75, a figure that two reviewer-approved grants received. What skewed the average figure was a low score of 45. No other grant in the top 10 received that a ranking that low. Eight reviewers recommended funding the proposal, Four did not with three recommending it be placed in "tier two," a grey area for applications. No reviewers were listed as having conflicts of interest on the Helms proposal. However, their finanicial and professional interests are not disclosed to the public. Nor are they identified to the public. "Certainly the system is broken." The board did not act on Cashman's request for a re-review. Here is the roll call vote on the Helms' application: Yes -- David Higgins, Steve Juelsgaard, Kathy LaPorte, Lauren Miller, Art Torres. No -- Jonathan Thomas. Abstain -- Francisco Prieto, Robert Quint, Al Rowlett, Jeff Sheehy, Diane Winokur. Summaries of the reviews of the winning applications can be found on this 90-page document. The governing board of the California stem cell agency today approved $7.7 million to develop the first therapy that would alter the progression of osteoarthritis. The action came on a proposal by Daryll D’Lima of Scripps Health, whose application was rejected earlier by reviewers of the agency and its staff. D’Lima told the board that arthritis is the No. 1 cause of disability in the nation. Annually, arthritis has a more than $120 billion economic impact, which exceeds 2 percent of the gross domestic product. D’Lima’s research has already received $3.1 million from CIRM. Directors of the California stem cell agency today all but approved a $1.7 million award to a Salk researcher to develop a therapy that would alter the progression of Alzheimer's Disease. The action came on a 11-1-1 vote. Researcher David Schubert of the Salk Institute appealed to the board to overturn rejection of the proposal by reviewers and CIRM staff. Schubert was told that the application needed to be improved. Schubert appeared before the board today and sent a letter to the board earlier this month. He said the proposed treatment was “highly effective at reversing the memory deficits” in mice. His proposal, he said, could move very quickly into clinical trials under new federal regulations. The vote came on a motion to move the application into a category that will be approved by the full board later today. Here is the list of California stem cell agency directors with conflicts of interest on today's preclinical research awards. The list comes from the stem cell agency. The directors on the list are not allowed to vote on the applications in question. $32 Million or $16 Million for California Preclinical Stem Cell Research? CIRM President Randy Mills has begun his update on the status of CIRM 2.0 and has even mentioned the possibility of CIRM 2.1 in the not too distant future. His slides can be found here. He said the first application under CIRM 2.0 will be sent to the full board on April 23. The second application that came in during January has been sent back to the reviewer for revision. Of the two applications that came in during February, one is going to application reviewers. The other has been sent back to the researcher. This morning's session of the governing board of the $3 billion California stem cell agency has not yet begun but the agency has just posted the presentation slides to be used by its president, Randy Mills. Most of Mills's presentation deals with the progress of CIRM 2.0, his plan to speed cash to researchers and improve the quality of the applications. He also offered up the above slide concerning the end of the existing, $500 million loan program. The 29-member governing board of California's $3 billion stem cell research effort, the only such organization of its size in the nation, meets at 9 a.m. PDT in Berkeley to award millions of dollars and to ratify radical changes in the way it operates. The California Stem Cell Report will provide live, day-long coverage and stories as warranted from its perch in Mazatlan, Mexico, based on the Internet audiocast of the session. Three California scientists are asking the state’s stem cell agency to come to the aid of tens of millions of elderly persons and provide $16 million to develop therapies to treat Alzheimer’s and arthritis and to speed skeletal healing in the elderly. The researchers have asked the governing board of the $3 billion agency to overturn at its meeting tomorrow the rejection of the proposals by both scientific reviewers and the agency staff. All of the potential therapies are close to moving into clinical trials. The California Institute for Regenerative Medicine (CIRM), as the agency is formally known, has already pumped $7 million into Helms’ research. She is seeking another $7 million to advance the potential therapy closer to clinical trials. The two other researchers are Daryll D’Lima of Scripps Health and David Schubert of Salk. D’Lima is seeking $7.7 million to develop the first therapy that would alter the progression of osteoarthritis, which is the No. 1 cause of disability in the nation. Annually, arthritis has a more than $120 billion economic impact, which exceeds 2 percent of the gross domestic product. D’Lima’s research has already received $3.1 million from CIRM. Schubert has applied for $1.7 million for work on an Alzheimer’s therapy that he said was “highly effective at reversing the memory deficits” in mice. His proposal, he said, could move very quickly into clinical trials under new federal regulations. The researchers’ rejected applications were scored at either at an average of 71 or 72 by the agency’s blue-ribbon scientific grant reviewers, who do their work behind closed doors. The reviewers approved five grants with scores ranging from 89 to 76. Two of the approved grants had the same median score of 75 as the three rejected grants. During public sessions in the past, a number of board members have said that a few points difference on scores is not statistically significant. In a memo to the board, Randy Mills, president of the agency, recommended rejection of the applications. He said the applicants could re-apply next summer under the agency’s new CIRM 2.0 program or possibly under the preclinical round that is now open. Mills’ memo also includes the range of scores and summaries of reviewers' comments. The agency does not identify applicants by name until after the board acts and then only the winners. However, Helms' application is 08105; D’Lima’s is 08128, and Schubert’s is 08086. The CIRM board originally budgeted $40 million for the research to be approved tomorrow. Only five applications were okayed by reviewers for a total of $15.8 million. Helms noted in her March 20 letter to the board that CIRM has been a big supporter of her research since 2009. The agency has also considered her something of a bright light, using her on panels and presentations. Helms said that Avalon Ventures is backing her research to the tune of $16 million, including creation of a new firm, Ankasa Regenerative Therapeutics of La Jolla, to push it forward. In his March 19 letter, D’Lima said his research has demonstrated “very convincing proof" that his possible therapy was “very successful in repairing osteochondral defects (a major factor leading to osteoarthritis)." 031(the name of the treatment) into human trials are enormous." March 20). The delay in posting makes it difficult for patient advocates to attend the board meeting tomorrow to express directly to the board their opinions about the proposals. The D’Lima and Schubert applications also involve organizations that do not have seats on the agency’s governing board. D’Lima’s is the only award to Scripps Health. Schubert works at Salk which has not had a representative on the CIRM board since 2011. Salk has received $50 million from the agency. About 88 percent of the funds that the CIRM board has awarded have gone to institutions with ties to persons who have been members of the board. The California stem cell agency today moved forward on creation of new rules for its research awards, ranging from more fiscal scrutiny to elimination of paperwork. The aim of the move is to improve the quality of the research and speed development of stem cell therapies by the $3 billion agency. The Science Subcommittee of the agency’s governing board, as expected, unanimously approved the rules, which are nearly certain to be ratified Thursday by the full board at its meeting in Berkeley. The proposals are part of CIRM 2.0, a major change at the agency initiated by Randy Mills, who became president of the agency last May. In addition to the grant regulations, the subcommittee unanimously approved changes in procedures involving the conduct of the closed-door grant review meetings. The grant reviewers, formally known as the Grants Working Group, make the de facto decisions on all applications. The agency’s board has legal authority to accept or reject applications, but has almost never rejected a positive recommendation from its blue-ribbon scientific reviewers. One change involving the scientific reviewers, all of whom come from out-of-state, calls for them to exercise oversight on the progress of the research and on “continued funding.” The reviewers would report their findings to the full CIRM board or the agency’s president. That would be in addition to CIRM staff monitoring and quarterly reviews by new panels of advisors. Another change in the review process calls for a patient advocate member of the review group to be more actively involved in the review of applications. One advocate would be asked for his or her views on an application but would not score the application. All of the patient advocate members of the review panel are also members of the agency board. In addition to the seven members from the agency board, including its chairman, each group of reviewers for a particular award round includes 15 scientists from outside California. They are drawn from a list of more than 100. Their financial and professional interests are not disclosed to the public. Applicants are not notified which researchers review their applications. From cash payments to conflicts of interest, the $3 billion California stem cell agency this week is set to ratify a radical change in how it awards its largess and oversees the research it funds. Coming up for approval today by a key panel of the agency’s directors are new rules governing how scientists apply for millions of dollars and how they will receive payments. Instead of checks rolling in primarily on a calendar basis, for example, they will reach researchers only if they meet milestones approved by the agency, formally known as the California Institute for Regenerative Medicine (CIRM). The proposals are part of CIRM 2.0, a label coined by UC Davis researcher Paul Knoepfler and adopted by Randy Mills, who has been president of the agency since last May. With CIRM 2.0, Mills hopes to generate faster and better results than in the past. The main, direct impact will fall on the hundreds of California researchers who will have future agency funding. But if Mills is successful, it will also pay off for California citizens who are financing the agency with borrowed money at a total cost of $6 billion including interest. The rules will apply immediately only to three clinical stage rounds, but Mills expects to extend them to all future rounds. Officially they are called interim and are subject to additional vetting through the state’s official rule-making process. Here is a brief look at some of the key features of the new rules, based on a memo prepared by Mills and his team. The rules were first considered in January but final approval was put off until this month. External budget review: As soon as an application is received, it will scrutinized by an external contractor “to identify where proposed costs diverge from established market rates and where opportunities for budget tightening may be found.” This is in addition to budget reviews by staff, the grant review group and the board. Severe appeal restrictions: Appeals by applicants will be restricted to “a demonstrable financial, professional, or personal conflict of interest, as defined in the (agency’s) conflict of interest policy, (that) had a negative impact on the review process and resulted in a flawed review. Differences of scientific opinion between or among PIs (principal investigators) and reviewers are not grounds for appeal.” State law, however, permits researchers to communicate directly with the CIRM board on any matter. It is almost impossible for applicants to identify conflicts of interests because the names of persons who review their applications are withheld by the agency. Plus reviewers’ professional and financial interests are withheld by the agency. The proposed rules are expected to be approved today at the 2:30 p.m. PDT meeting of the Science Subcommittee of the CIRM board and ratified on Thursday by the full board at its meeting in Berkeley. The public can address the subcommittee at meeting locations in Washington, D.C., two in the Los Angeles area and one each in San Francisco, San Jose, Irvine, Oakland and La Jolla. Specific addresses can be found on the agenda. The California stem cell agency has postponed action on a proposal that would have all but eliminated its $500 million loan program, which has been deemed less than worthy. A subcommittee of the agency’s board had been scheduled to act on the new plan last Thursday. However, the meeting was postponed at the last minute with no public explanation. However, the plan (dated March 13) remains on the agenda for the full board meeting on this Thursday. Presumably, failure to remove it as well was an oversight. This is the second postponement on the loan overhaul. The first came in January and also was cancelled late with no public explanation. Only five loans have been made since the program was begun in 2008. Only two loans are currently active. The agency has not responded to a March 18 query concerning whether any businesses provided direct input into the loan changes proposed by Mills. The existing loan program was the brainchild of Robert Klein, a real estate investment banker who was the agency’s first chairman. Mills plans to replace the loan program as part of his efforts to speed development of stem cell therapies. No awards have yet been approved under that effort, which began only on Jan. 1. The California stem cell agency next Thursday is expected to award $15.8 million to five scientists to help push their research into clinical use for afflictions ranging from arthritis to the “bubble boy” syndrome. Another five researchers have been told that they need to improve their proposals and can bring them back to the agency in July. They will then be considered under the agency’s new, aggressive CIRM 2.0 program to speed action on development of stem cell therapies. CIRM is the abbreviation for the California Institute for Regenerative Medicine, the official name of the $3 billion agency. Its president, Randy Mills, who has been in place since last May, is overhauling the agency’s grant process with sharp eye on faster development and calls the effort CIRM 2.0. The applications scheduled to be acted by the CIRM board on March 26 in Berkeley are for early preclinical research that is ready for transition to the next preclinical stage. CIRM originally budgeted $40 million for this round. The top five applications received scores ranging from 90 to 75 and covered possible therapies involving spina bifida, arthritis, Huntington’s Disease, diabetic wounds and SCID-X1(bubble boy syndrome). Mills also said the researchers may be able to resubmit their proposals under the current CIRM 2.0 process which is accepting applications at the end of each month. The scores on each application in the two top tiers can be found on this 90-page document, which also includes summaries of the comments made during the closed-door grant review process. The names of the applicants have been withheld by the agency, although they can often be deduced by discerning readers. The names of the scientific reviewers are also not released. Scores on the rejected applications were not posted by the agency. The California stem cell agency tomorrow is expected to all but bury a $500 million loan plan pushed by its first chairman, Robert Klein, and replace it with something exceedingly more modest. The current loan effort is “overly complex, administratively burdensome, and, as reflected in the number of loans issued, it does not appear to be attractive to industry,” said agency President Randy Mills in a forthright memo to the agency board. Klein’s dream was that loans would generate revenue through interest payments and help to ensure the $3 billion agency’s existence. The agency’s board paid $50,000 for a PricewaterhouseCoopers study that said $500 million in loans could generate a major return. “How do you turn $500 million into as much as $1 billion over 10 years? Loan it to struggling biotech companies that could default on the loans at a rate of up to 50 percent. In 2007 and 2008, Klein, a real estate investment banker, bandied about a variety of numbers that ranged up to $1 billion. The agency finally settled in 2008 on $500 million to commit to loans. The concept had a special allure because biotech companies are perennially cash-starved. But only five companies ultimately received loans, two of which are outstanding. The agency has made 666 research awards, including the five loans. Mills plans to replace the existing loan effort in his first foray into CIRM 2.0, a radical move to speed funds to researchers that he intends to extend to all awards made by the California Institute for Regenerative Medicine (CIRM), as the agency is formally known. “…have the option to elect to convert their award from a grant to a loan within a specified period of time from the effective date of the award, e.g., seven years. Unless the parties agreed to different terms, the awardee would be required to repay the loan balance within ten days of making the election to convert from a grant to a loan at an interest rate that would escalate based on the date of repayment. For example, an awardee that repaid CIRM within three years of the effective date of the award would pay a lower interest rate than an awardee that elected to convert to a loan six years after the effective date." Mills said his plan is simpler, more realistic and compelling to recipients than the agency’s current loan effort. The board’s Intellectual Property Subcommittee is expected to back Mills’ changes at its 10 a.m. meeting tomorrow with full board ratification on March 26. The public and potential recipients of CIRM loans can speak to the matter at two public locations in San Francisco, one each in Hawaii, Irvine, San Diego, Los Angeles and Redwood City. Complete addresses are available on the agenda. Proposed changes in the loan program were initially scheduled to be approved in January, but that attempt was suspended with no public explanation. One week from today, a select panel of the directors of the $3 billion California stem cell agency will meet for the first time to assess the performance of its chairman, Jonathan Thomas, during his nearly four years in office. Thomas, a Los Angeles bond financier, was elected as chairman of the agency in June 2011 on a 14-11 vote of the 29-member agency board. (See here and here.) He is paid $400,000 annually for his part-time work (80 percent), according to a Sacramento Bee database. His salary has remained unchanged since he took office. Thomas succeeded Robert Klein as chairman of the agency. 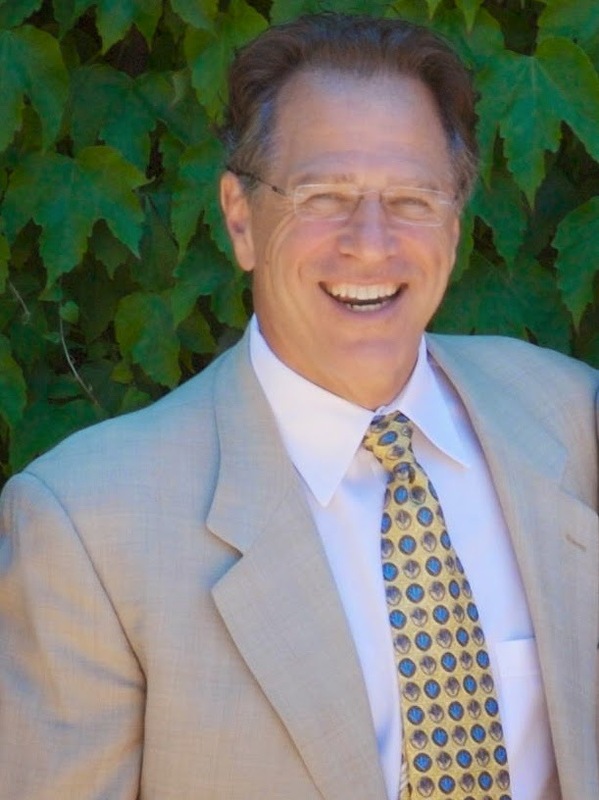 Klein was elected in December 2004 after shepherding the ballot campaign that year to pass Proposition 71, which created the agency and funded it with state government borrowing. The agenda for next week’s meeting gave no clue to the reason for calling this particular evaluation session. But good personnel practices would seem to require regular evaluations, perhaps even more often than every four years. In 2012, then outside counsel to the board, James Harrison, prepared a memo for the subcommittee discussing evaluation procedures. In the memo, Harrison, now general counsel to the agency but still an independent contractor, summarized procedures that called for Thomas to submit his job goals for 2012-13. Also to be evaluated, according to the memo, was Art Torres, vice chairman of the board. Torres was also elected by the board and works part-time (80 percent) at an annual salary of $225,000. The subcommittee has not scheduled a meeting to evaluate Torres’ performance. Torres has been paid $225,000 annually during the last two years. However, his pay ran up to $247,000 in 2012, $239,000 in 2011 and $230,000 in 2010, according to The Bee database, which is drawn from public records. The Evaluation Subcommittee has six members, including Thomas and Torres. However, Thomas is not likely to be sitting in on his own evaluation next week. 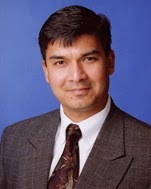 Chairman of the panel is Francisco Prieto, a Sacramento physician. The others are Stephen Juelsgaard, former executive vice president of Genentech; Sherry Lansing, former head of a Hollywood studio and a University of California regent, and Jeff Sheehy, a communications manager at UC San Francisco. The subcommittee has met six times since Thomas was elected. All of those meetings dealt with assessment of Alan Trounson, former president of the stem cell agency, according to agendas. Next Friday’s meeting will be almost entirely behind closed doors, but the public does have an opportunity to comment. Two locations for the public exist in San Francisco and one each in Los Angeles, Calistoga and Napa. Specific addresses can be found on the agenda. The California stem cell agency isn’t quite at the stage of “Ain’t Got No Home,” the title of the immortal hit song from 1956. But the search for a new roost for the research effort is intensifying. And it will likely add another $1 million or so to the agency’s annual operating costs. The $3 billion agency now operates out of free digs in San Francisco in a gentrified neighborhood that was a tad gritty back when the agency moved in a decade ago. Today the area is much tonier. Even the Happy Donuts shop down the street (open 24 hours) has cleaned up its signage, and a chichi pizza parlor is located on the ground floor of the stem cell agency’s building. Come next fall the agency will be moving out of its roomy offices that were built to its custom orders. No more free rent – a benefit valued at about $1 million annually by the agency’s auditor. Gone will be the free parking, a matter of great import in San Francisco. The free office space came as the result of a $17-$18 million package put together by San Francisco to entice the agency to the city. The California Institute for Regenerative Medicine (CIRM), as the agency is formally known, is looking for about 12,000 to 18,000 square feet(see specifications list below). On Nov. 14, 2005, when the agency moved into its current space, it had about 20,000 square feet with 18 window offices, 17 internal offices and 19 cubicles, according to a CIRM document. That was for about 25 to 30 employees. Those employees currently number in the mid-50s, not a large number to be handling $3 billion. In December, the governing board’s Governance Subcommittee briefly discussed what the agency is seeking. The specifications call for a facility that could accommodate the meetings of its board of directors, which would be a major change. CIRM would like a room that could handle 50 to 75 people. Twenty-nine persons sit on the board. The space would appear to be large enough to handle normal public and staff attendance but fall short of the space needed for the few occasions when large crowds appear. Board meetings have generally involved rented conference rooms at hotels. The hope is that a meeting room within CIRM offices could defray meeting costs. Office space costs have skyrocketed in San Francisco over the last several years, pushed upward by the booming tech industry. According to one office space expert, 12,000 square feet of Class A office space in the city of San Francisco could run as much $900,000 a year with additional parking costs of up to $450 a month per stall. If the agency wants 18,000 feet, the cost climbs to roughly $1.4 million. Given that situation, CIRM has expanded its search to include cheaper locations across the bay from San Francisco, including Oakland, where California Gov. Jerry Brown has a home, and Emeryville, a city once known as Butchertown because of its slaughterhouses. Today Emeryville businesses include the Pixar Studios. CIRM was also housed in Emeryville in 2005 while it waited for its offices in San Francisco. Torres also said he is working with the city of San Francisco to see if it can persuade landlords to ease rent or provide some other kind of support. Randy Mills, CEO of CIRM, told directors in January that the office move could lead to some disruptions in its activities. The agency last week reported no major new developments in the office space search. In 2009, the agency considered the possibility of use of a nonprofit to own the office space, given the legal cap on CIRM's operational budget. However, that possibility has not surfaced publicly in recent years. For those who want to know more about the inimitable Clarence "Frogman" Henry, who wrote and sang "Ain't Got No Home," here is a link to his Web site. Here is the list of specifications discussed by directors in December. A Canadian scientist this week took issue with treatment on this Web site of stem cell diabetes research as a Massachusetts-California duel. 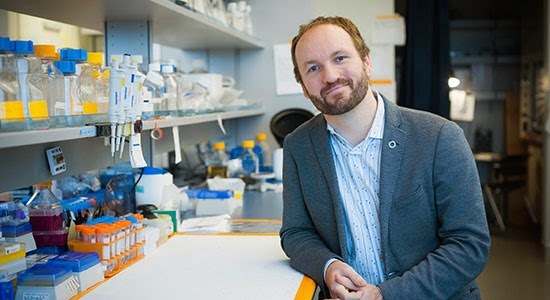 James Johnson, a primary member of the Diabetes Research Group at the University of British Columbia, referred to an item yesterday on the California Stem Cell Report. One of those groups is the Diabetes Research Group in British Columbia, whose research is backed by a subsidiary of Johnson & Johnson. Johnson makes a good point concerning the worldwide effort on diabetes. The search for a stem cell cure or therapy for diabetes goes well beyond California and Massachusetts. 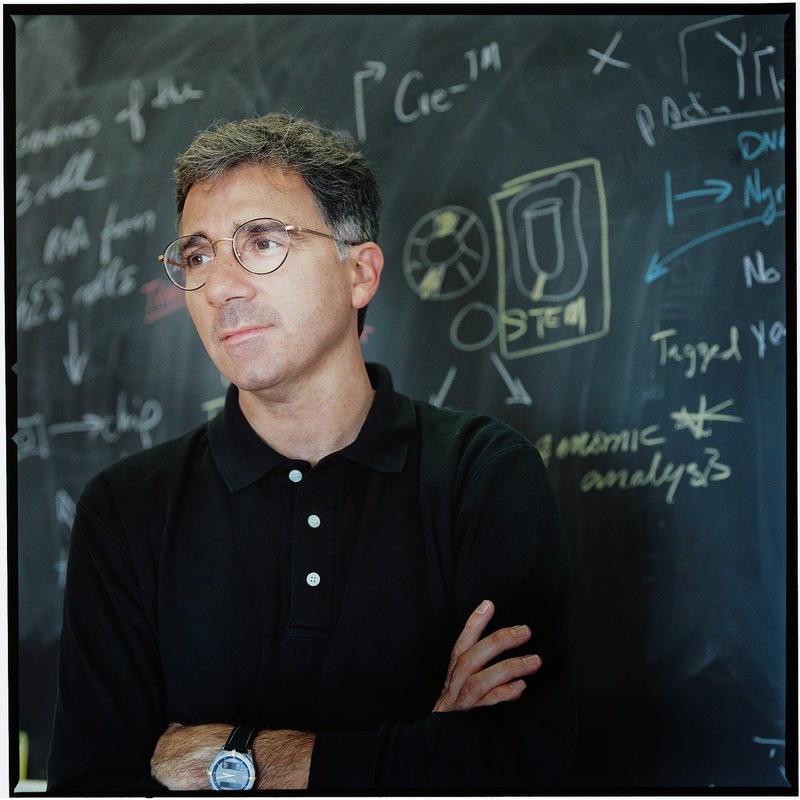 A “duel” existed, nonetheless, between them as the result of an article in the MIT Technology Review and an item on the blog of UC Davis stem cell researcher Paul Knoepfler. In the MIT piece, Harvard researcher Doug Melton commented critically on the ViaCyte effort. Paul Laikind, CEO of the San Diego firm, defended his project on the Knoepfler blog. 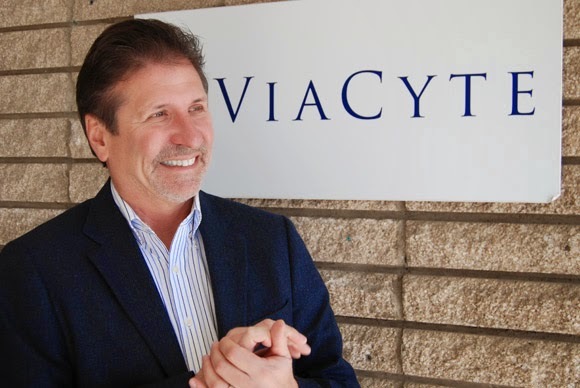 The California Stem Cell Report, which focuses almost entirely on California stem cell matters and the $3 billion state stem cell agency, was particularly interested in all this because the agency has pumped $55 million into ViaCyte. It is the largest amount that the state has invested in a single company. Additionally, ViaCyte’s clinical trial is also the only diabetes clinical trial in the United States based on human embryonic stem cells, which, of course, generate far more controversy than adult stem cells. 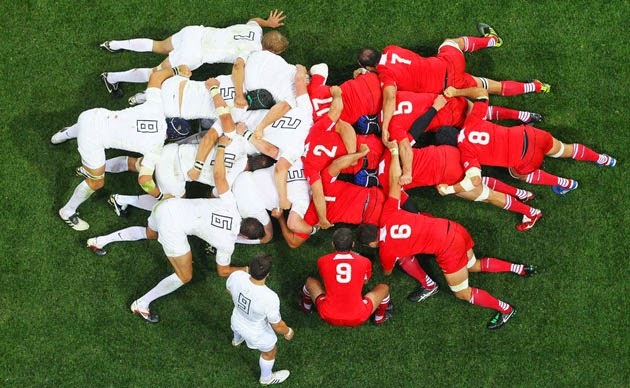 As for the worldwide state of diabetes stem cell research, perhaps it could be described as a global scrum, the grunting and heaving moment in rugby when multiple players tussle to control the ball. One might call it a California-Massachusetts stem cell face-off. The tussle is over a stem cell cure of sorts for diabetes. The players are Doug Melton of Harvard and Paul Laikind, CEO of ViaCyte in San Diego. Recently in separate forums, the men critiqued each other’s approaches to diabetes. 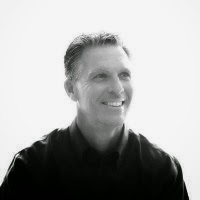 Most recently it was Laikind three days ago on the blog, ipscell.com, of UC Davis researcher Paul Knoepfler. Laikind was responding in a Q&A carried by Knoepfler. Knoepfler asked about Melton’s comments in the MIT Technology Review last month. Melton was described in an article as being “worried” that ViaCyte’s technology, now in a first stage clinical trial, would not work. The California stem cell agency has invested $55 million in the firm's approach. “Dr. Melton’s work on the beta cell is very interesting. As to the cells, we made the choice to use the pancreatic progenitor cells. An important consideration is that when you first put in cells, they are in a hypoxic environment. Beta cells are sensitive to low oxygen levels, which can negatively affect their survival and function. Beta cells typically exist in a mature highly vascularized organ. The pancreatic progenitor cells that we use undergo an organogenesis-like process, more similar to how they behave in nature, and thus we believe they should be better able to handle low oxygen. They also are believed to release angiogenic and other factors to promote vascularization. Knoepfler also asked about the diabetes effort in Canada involving BetaLogics Venture, a subsidiary of Johnson & Johnson, which also made a $20 million investment in ViaCyte last summer. “Douglas Melton, a biologist at Harvard University who has two children with type 1 diabetes, worries that the ViaCyte system may not work. He thinks deposits of fibrotic, scarlike tissue will glom onto the capsules, starving the cells inside of oxygen and blocking their ability to sense sugar and release insulin. Melton also thinks it might take immature cells up to three months to become fully functional. And many won’t become beta cells, winding up as other types of pancreatic cells instead. The Web site, diaTribe, last fall carried an analysis of all three approaches. The California stem cell agency today announced that one of its multimillion dollar efforts to come up with a cure for HIV/AIDS is moving into the first stage of clinical trials involving human beings. The effort includes the City of Hope in Duarte, Ca., the University of Southern California and Sangamo BioSciences, Inc., of Richmond, Ca. The $3 billion agency is pumping $5.6 million into the clinical trial. Overall, the agency has awarded the lead scientist in the project, John Zaia of the City of Hope, $28.2 million for work involving HIV/AIDS. The agency, formally known as the California Institute for Regenerative Medicine (CIRM), said the FDA had approved the initial trial to determine the safety of the treatment. The effort is intended to replicate what occurred with the “Berlin Patient,” a man who has apparently been cured of AIDS as the result of a mutation. The agency is also funding a clinical trial involving an alternative approach to HIV/AIDS. That effort includes UCLA and an Arizona company, Calimmune, Inc., co-founded by a former member of the CIRM governing board, David Baltimore. Calimmune also has an address near UCLA in Los Angeles.